The aftermarket industry keeps developing more and more performance enhancements for the Jeep Wrangler JK platform. 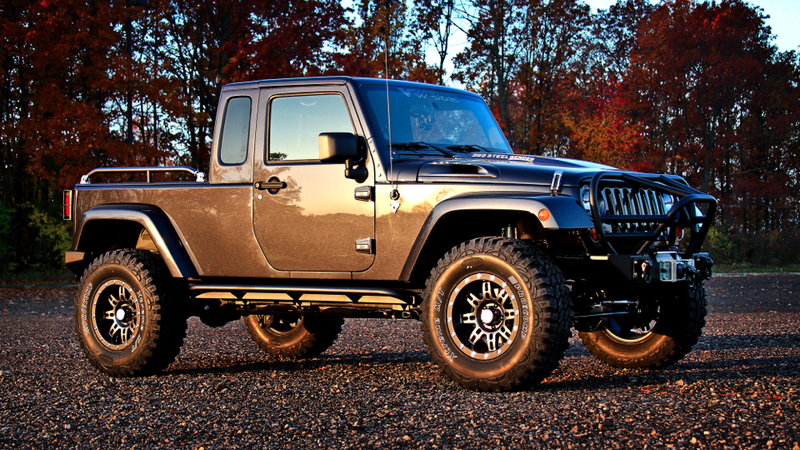 Jalopnik and MSNBC give us a peek at VWerks' Steel Bender Jeep packed with parts that improve its looks and performance both on-road and off. The primary mods include a pickup conversion and a 392 Hemi V8 producing 465 horsepower! I've written about VWerks and JK pickup conversions before, but this one is undoubtedly worth drooling over again!